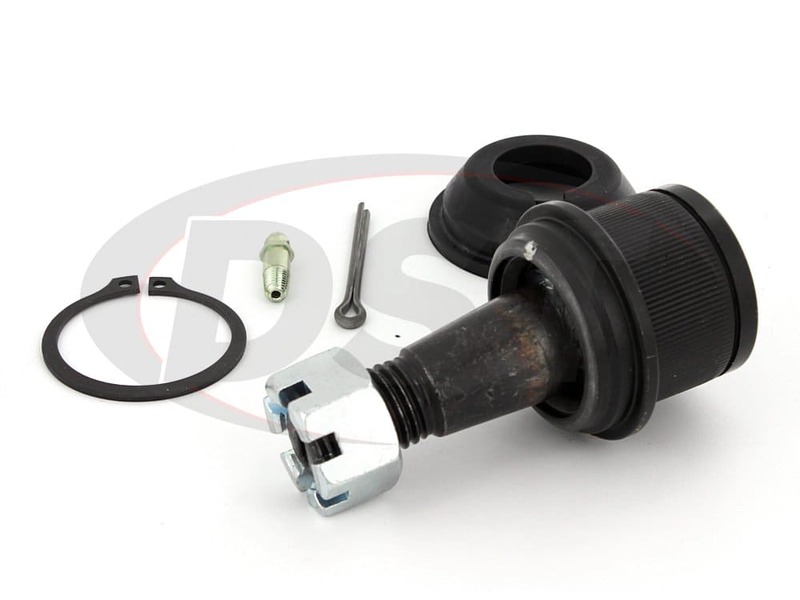 Moog's problem solver parts, like this K7467 front lower ball joint, target factory defects or poor original design, replacing them with a more durable and easy to install part. 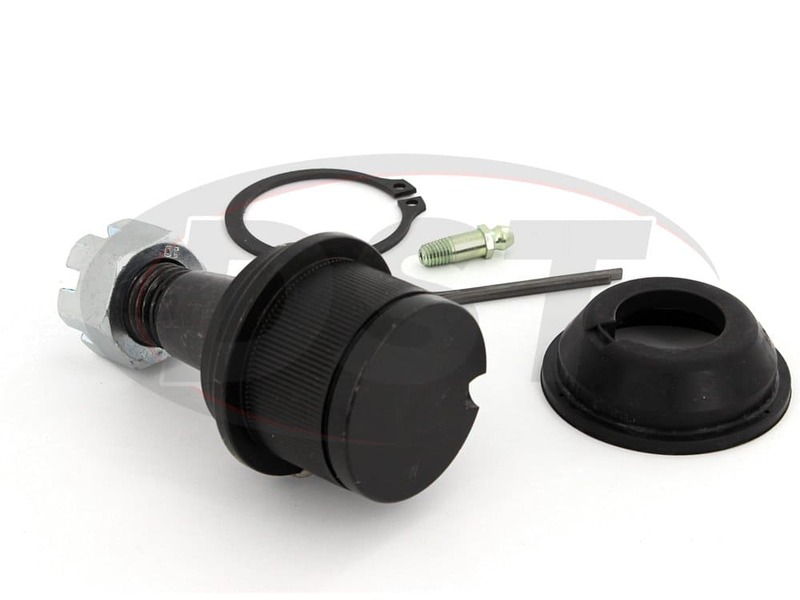 Moog's problem solver parts, like this K7467 lower front ball joint, target factory defects or poor original design, replacing them with a more durable and easy to install part. And we at DST hope that this gives you Dodge Ram owners some peace of mind. 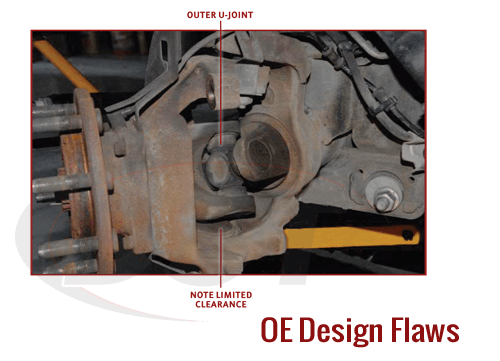 OE and other suppliers' designs can lead to early failure in the front lower ball joints that are subject to adverse road conditions or severe duty use. The plastic bearing that was used factory on the Ram is subject to excessive wear. There is no provision for preload, which leads to excessive deflection and degradation of socket torque as the bearing wears. 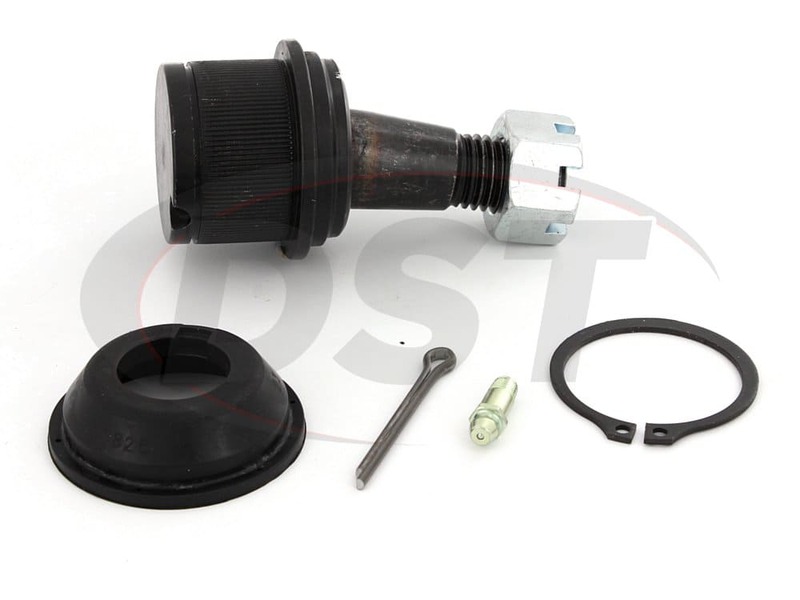 To top it all off, the OE ball joint is non-greaseable, and the tight installation clearance makes servicing other suppliers' ball joints difficult. 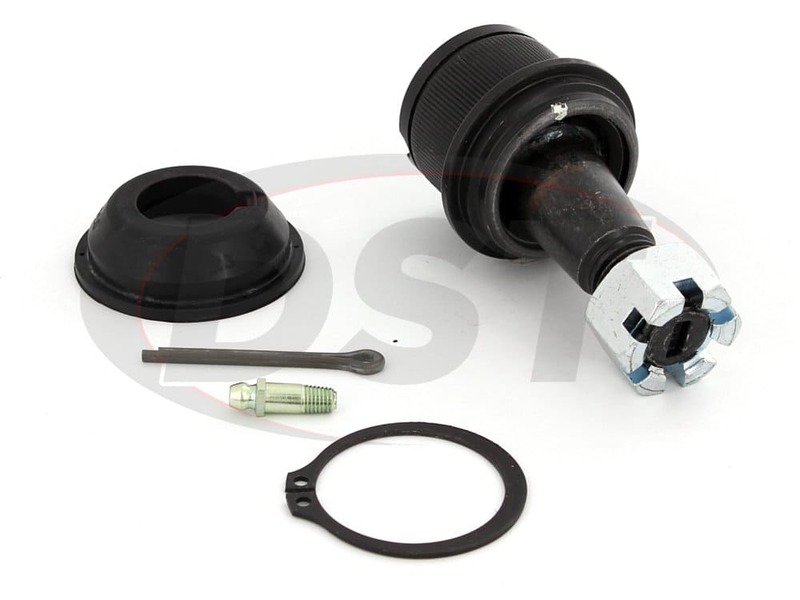 Moog's problem solver lower ball joint K7467 features many improvements over the OE and other suppliers' ball joints. Exclusive powdered-metal "gusher" bearing improves wear resistance and durability. A bellville washer ensures proper preload and consistent socket torque for the life of the part. Moog's premium knurled housing ensures strength and secure installation. Moog's premium black polychloroprene boot lasts longer than blue neoprene boots. This boot will keep in the grease, and keep out harmful road contaminants that cause the rust and wear to the OE ball joint. 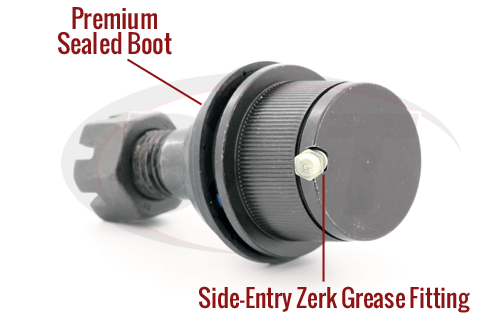 Speaking of grease, the best update to the ball joint is Moog's inclusion of a zerk grease fitting. 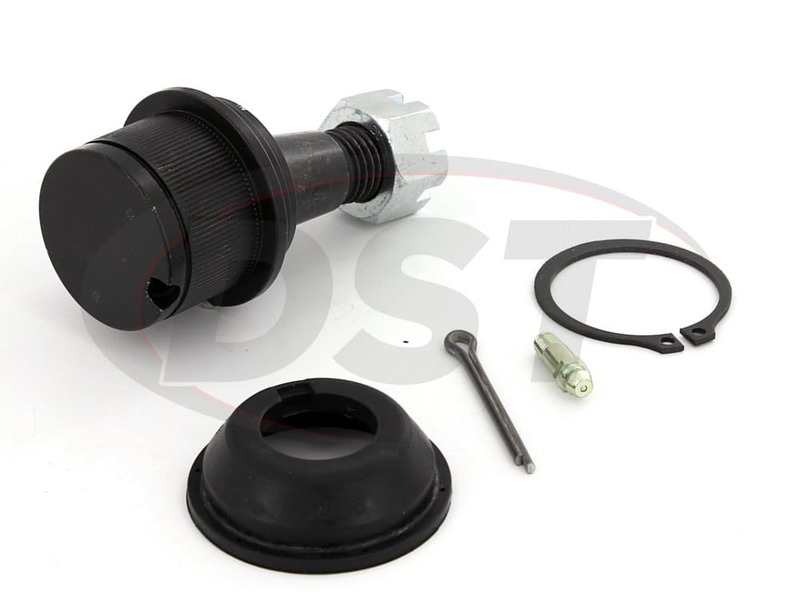 This side-entry style grease fitting allows easy service of ball joint while on the vehicle, flushing out any contaminants that find their way in. This Moog ball joint is also much easier to install with the inclusion of a castle nut. 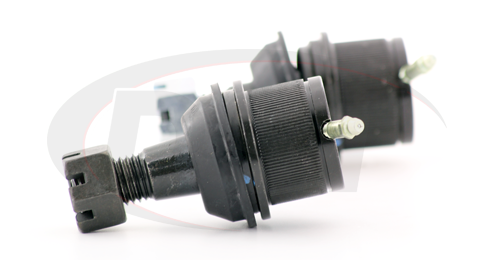 Moog's Problem Solver ball joints carry a lifetime warranty, handled in house at DST. If you have any other questions be sure to give us a call. Wonderful product. Fits great and works great. The price was the best I found and they also had them to my house promptly. Ive installed the upper and lower ball joints. I'm extremely impressed not only by the quality and price of the parts, but also the prompt delivery of the parts considering I live in Canada. Chances are If I need a part you carry I will be ordering it from you! Will part number k7467 fit my 2015 ram 2500 4wd or do I need a different part number? No, part number k7467 will not fit the 2015 ram 2500 4wd, you would need part number k500351. Does Moog offer the moog-k7467 ball joint but not knurled? 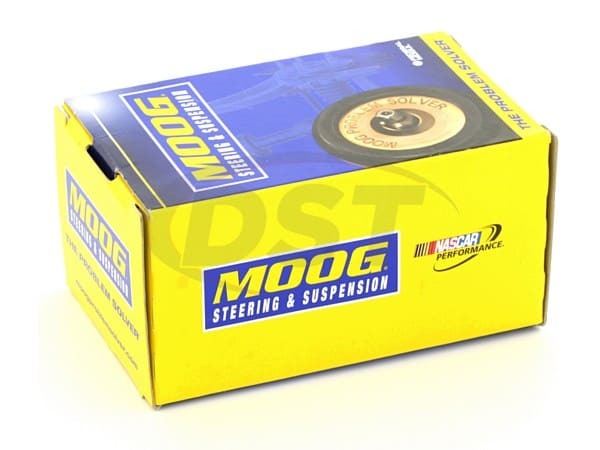 No, Unfortunately at this time (2/11/19) Moog does not offer a smooth ball joint housing version of the moog-k7467. What grease do you recommend for ball joints k7467 and k7460? Also, what is the warranty on them? Any chassis grease will work for all Moog components. Also, part numbers k7467 and k7460 both come with a lifetime warranty. I purchase the moog-k7467 from amazon about 12 months ago and they have failed. How do I start a warranty claim if I did not purchase from this specific site? Moog warranties are to be handled by your original dealer. You will need to speak to Amazon to start your warranty process. We being an authorized dealer of Moog can only warranty Moog parts purchased through our company. Yes, part number moog-k7467 does come with a dust boot. How much grease should I pump in part number k7467? You will need to pump in the grease until you see the dust boot swell slightly. What size are the zerks on the ball joint k7467? Average size zerks are usually 1/4 x 28 thread size. 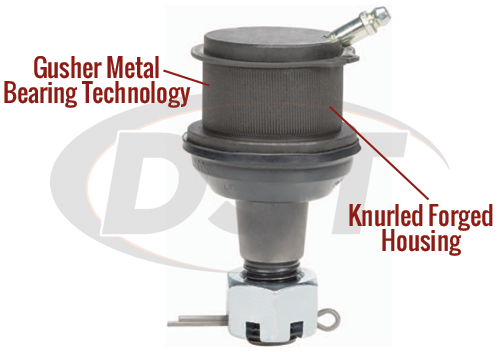 Does K7467 replace OEM Lower Ball Joint on my 2014 Ram 3500 4x4 TRUCK? Can I get a replacement zerk fitting for part number k7467? Moog does not sell their zerk fittings separately from their parts. What is the warranty on the moog-k7467? moog-k7467 has a lifetime warranty. I ordered a set of these along with uppers and the grease fitting was broken in the package. How can I get a replacement? Are they already greased to the point where I can drive vehicle until replacement comes? Both of these ball joints have a limited life time warranty on them. This means that as long as they are maintained, (greased as they should be, either with every oil change or every other oil change) this should keep the warranty valid. Will this lower ball joint be compatible with my truck?